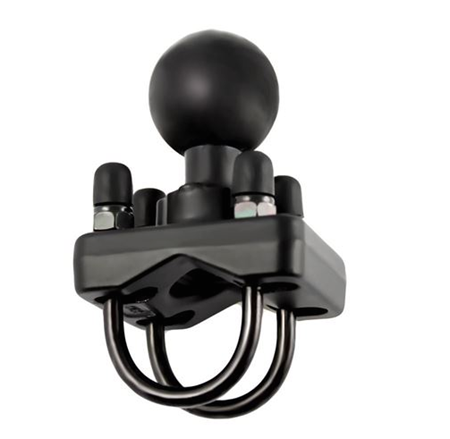 The RAM-235U Double U-Bolt Base with 1.5" ball for Rails features a 1.5" rubber ball with a stainless steel double u-bolt which can connect to rails from 0.75" to 1.25". The RAM-235U RAM Double U-Bolt Base with 1.5" Ball for Rails from .75" to 1.25" in Diameter from the RAM Mount Bases range is made up of a 1.5” diameter ball that is joined to a stainless steel double u-bolt base. This base is professionally powder coated with marine grade aluminum and can work with rails sized 0.75” to 1.25” in diameter.